Planning on heading to France for your winter or summer holiday? If you’re grabbing a late ferry into or an early departure from the port or Eurotunnel you’ll be looking for a B&B near Calais at which to put your head down for the night. Thankfully there are several great value B&Bs near Calais which provide great hospitality for an overnight stopover before you continue your onward travels. 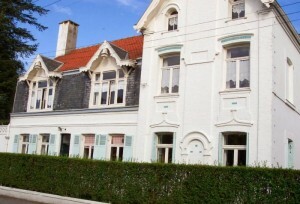 On a quiet one-way street in the centre of Calais, the elegant facade of this town-house B&B hides tranquil gardens, a welcome retreat from the hustle and bustle of Calais town. Heading south and just off junction 2 of the A26 autoroute, this is one the best value family-friendly B&Bs near Calais that I have found. It’s perfectly situated if you do really need to be within striking distance of Calais ferry port or Eurotunnel for the night. 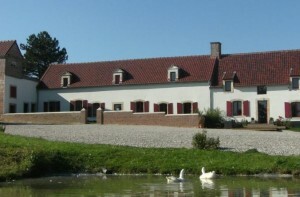 With secure parking, parkland in which the kids can let off steam and the chance to buy wine and local produce, this is one of my favourite B&Bs near Calais. 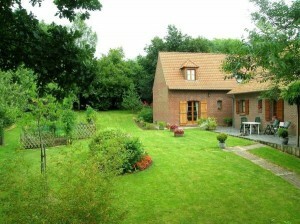 Jean-Jacques and Mimi run their no-frills B&B with warmth and efficiency. Oh, and they speak English too! Francis (he speaks superb English!) 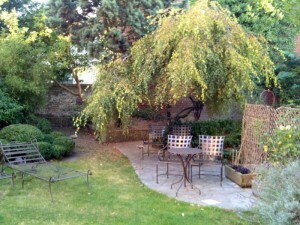 and Bernadette have been welcoming families with dogs to their great value B&B near Calais for years. 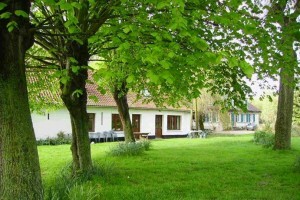 Just 20 minutes south of Calais in Bois-en-Ardres, their welcoming and very French B&B is surrounded by enclosed gardens in which dogs and children are welcome to let off steam. You haven’t got far to go to get something to eat in the evening. The little brasserie which is within walking distance will sell you a delicious pizza to take away, or you could eat at the little restaurant at the lake which is just a couple of minutes drive. A little bit further down the road, a mere 5 minutes from junction 4 of the A26, it’s the peace and quiet and fine evening meals that really stand out at this lovely B&B near Calais. You will be totally spoilt at both the dinner and breakfast tables. Local produce, home cooking, this is a special place. Although this B&B is perfectly placed for a stopover near Calais, there is loads to see and do in the area so do try and stay longer than just the one night. You may be heading west from Calais en route to the Loire Valley, Normandy, Brittany or the SW of France for your holiday. In that case, this B&B near Calais (30 minutes) and Boulogne (20 minutes) and a mere 5 minutes from exit 36 of the A16 autoroute is one for you. The farmstead is home to chickens and donkeys, much to children’s delight! If your dog is not a chaser of farm animals then he will be most welcome at this B&B. There are numerous other B&B possibilities near the autoroutes which provide a welcome alternative to the anonymous motels that are liberally sprinkled across France. Start or end your holiday with a pleasant experience and you won’t regret it.